WASHINGTON — A divided Supreme Court agreed Tuesday to halt enforcement of President Barack Obama’s sweeping plan to address climate change until after legal challenges are resolved. By issuing the temporary freeze, a 5-4 majority of the justices signaled that opponents made strong arguments against the rules. The high court’s four liberal justices said Tuesday they would have denied the request for delay. 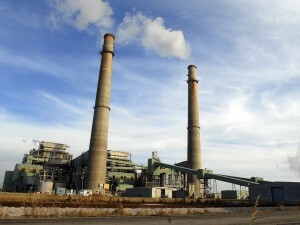 The Obama administration’s plan aims to stave off the worst predicted impacts of climate change by reducing carbon dioxide emissions at existing power plants by about one-third by 2030. “We disagree with the Supreme Court’s decision to stay the Clean Power Plan while litigation proceeds,” White House spokesman Josh Earnest said in a statement. Compliance with the new rules isn’t required until 2022, but states must submit their plans to the Environmental Protection Administration by September or seek an extension. Environmentalists were stunned by the court’s action, which they stressed did not reflect a decision on the relative strength of the Obama administration’s case.